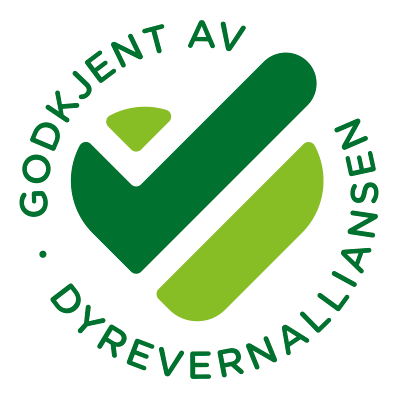 The Norwegian Animal Protection Alliance (Dyrevernalliansen) believes that every animal deserves a life worth living. Up until now, there has been no animal welfare label for food in Norway. That is why we have created the Animal Protection Label (Dyrevernmerket), dedicated to improve the lives of farm animals. The aim of the Animal Protection Label is to improve the lives of those animals that need it the most. When choosing a product with the Animal Protection Label, consumers can feel safe that the animals have had more space, a healthier body, and more activity. We encourage consumers to buy animal products less frequently, and rather pay a little more when they do. We have developed standard criteria for meat chickens and dairy cattle, and will in the next years work on introducing standard criteria for laying hens, pigs, turkey and Atlantic salmon in aquaculture. 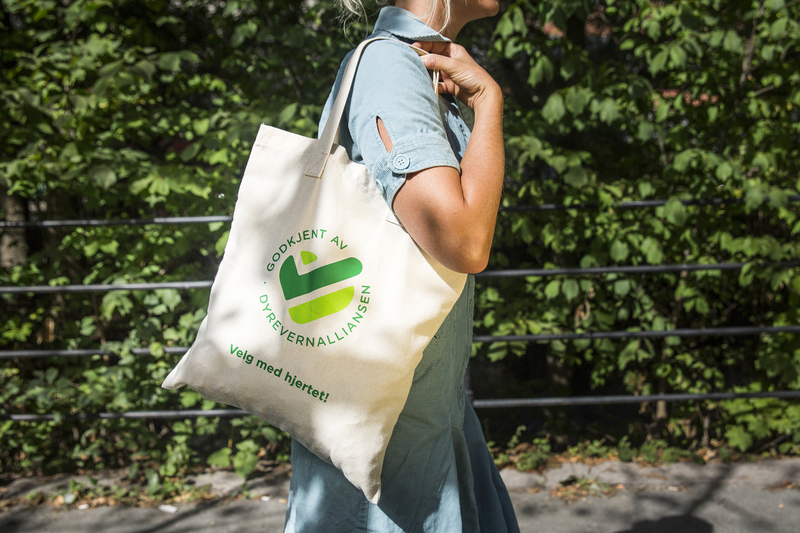 So far, Hovelsrud farm’s meat chickens and Grøndalen farm’s creme fraiche “Nýr” have received the Animal Protection Label. 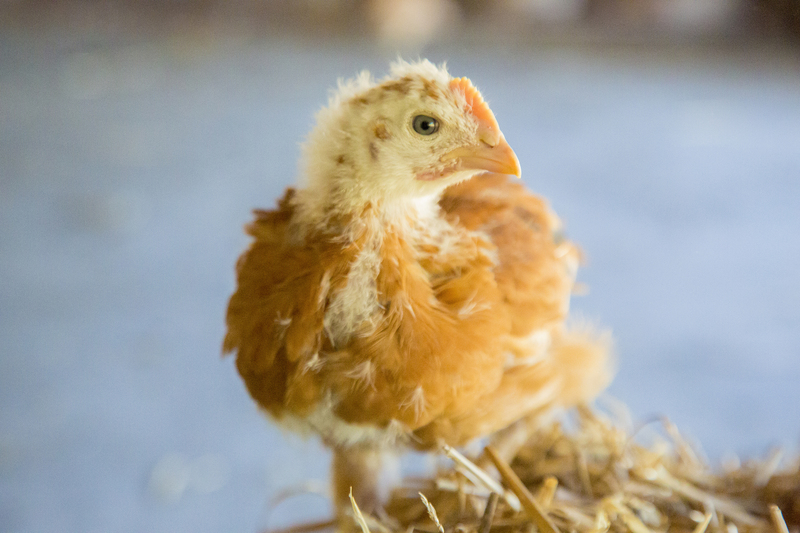 Additionally, Stange chicken farms have an intentional agreement with the Animal Protection Label, and plan to label their products in the next few months. We look forward to expanding the label with more product types – from farmers with animal welfare at the core of their operation. We started developing the Animal Protection Label in 2017. All three major Norwegian supermarket chains were asked to contribute financially to the establishment of the label, and to participate in establishing the standard criteria. Rema 1000 has so far contributed NOK 5,5 million, and committed to contributing another NOK 2 million by the end of January 2019 and NOK 1 million by the end of 2020. NorgesGruppen declined our request, and Coop never responded. Participating farmers and companies have to sign a contract, and accept announced and unannounced inspections by a third party control agency at least once a year. They are required to pay for the inspections, as well as an annual fee to run the scheme on a non-profit basis. Additionally, we plan to apply for government funding in the future, aspiring for continuous operation of the label. Our sincere thank you to the RSPCA (England), Beter Leven (the Netherlands), Dyrenes Beskyttelse (Denmark) and Four Paws (Austria) for assistance and inspiration in the process of developing the Animal Protection Label.